Mortal Kombat XL Gamepack by The_Rabid_Taco. The Mortal Kombat XL Gamepack for Titan One features all Character Fatalities, Faction Kill as well as an Auto Test Your Might mode. All together there are 107 fatalities in total working along with the five faction kills. Fatalities are special finishing moves that can be used against one’s opponent at the end of the final round. When the announcer says “Finish Him” or “Finish Her”, the player can choose to kill him or her using a Fatality move. These fatalities require certain distances between the player and his or her opponent as well as quick button sequences in order to achieve the desired result. Every character has their own special Fatalities that must be performed at precise distances from the opponent. If input correctly, the background will darken and the Fatality will be performed. The Mortal Kombat XL Gamepack simplifies and standardizes the way each Fatality is performed by just a combination of 2 button presses. For any character as chosen by the player, the Gamepack will know the precise distance to stand at as well as the proper sequence that must be executed to perform the desired Fatality. Additionally, Mortal Kombat XL also features a Custom button layout and “Test Your Might” mode where you have to rapidly and repeatedly press all four move buttons on the controller to build up strength to break an object placed in front of your character. The Mortal Kombat XL Gamepack allows the player to complete ALL of these challenges by simply holding 2 buttons down. 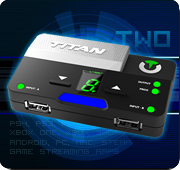 Today we are releasing two Titan One exclusive Gamepacks developed by The_Rabid_Taco. Plant vs Zombie: Garden Warfare 2 and Doom Gamepacks. Thanks to The_Rabid_Taco for all your effort and dedication with the ConsoleTuner community! Another great Gamepack developed by PROTOTYPE. Tom Clancy’s The Division. Thank you PROTOYPE for your effort and dedication with the ConsoleTuner community! 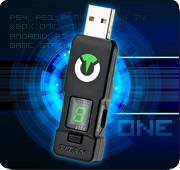 The Division Gamepack is now available on Gtuner PRO for all Titan One owners!